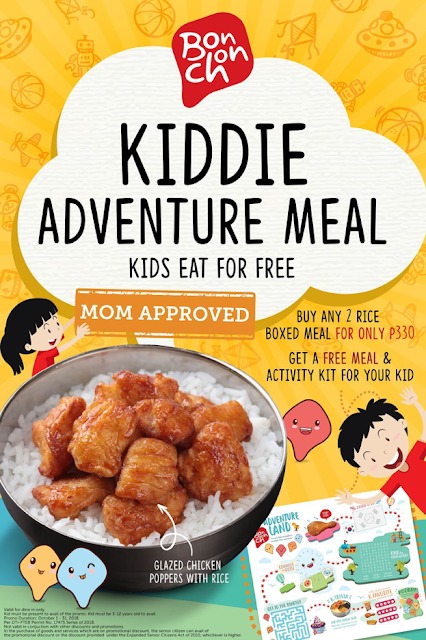 Bonchon’s Kiddie Adventure Meal—KIDS EAT FOR FREE! Every time we get a chance to eat out, my children have only two things in mind: chicken and noodles. I lost count already on how many times we had noodles. So now is the time to eat chicken. I am glad that Bonchon offers more in their men. The best thing is that what they offer are all of my kids’ favorites! It is a win-win situation for us. But can you just imagine three kids in a fast food? Yes, a little chaotic. Now, if you see a mom giving her kids a stare, I am that mom. It is hard to contain three children, everyone desiring attention and needs to be fed at the same time. 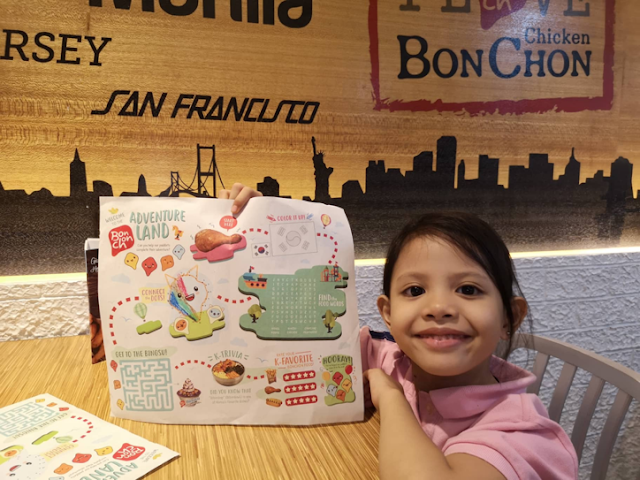 But our last visit at Bonchon was quite different. I ordered our favorite two-piece chicken, chicken fries, crispy shrimp boxed meal, and crispy fish meal and a Bingsu. 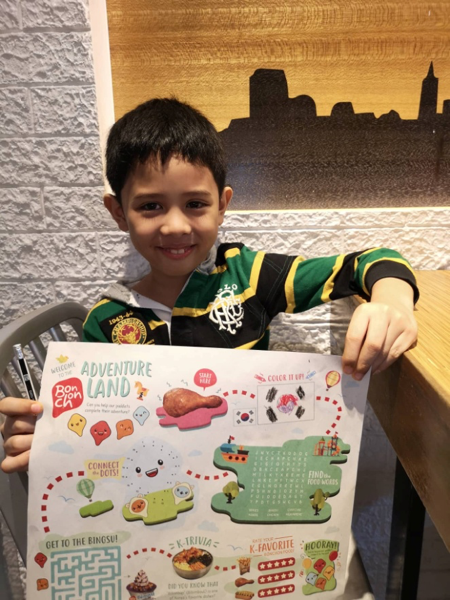 But did you know that for every two boxed meals that you will order, you get one FREE Bonchon Kiddie Adventure Meal that comes with an Activity Kit? It comes with glazed chicken poppers with rice and an activity sheet that my kids surely enjoyed. They were so engrossed that it kept them focused on the table and their chicken! HAHA. This was an unusual experience for us since we got to enjoy our food sans chaos. The kids were so manageable and were exclaiming that their food is yummy. Good news! The promo is extended until November 30, 2018, hurry and treat your kids! 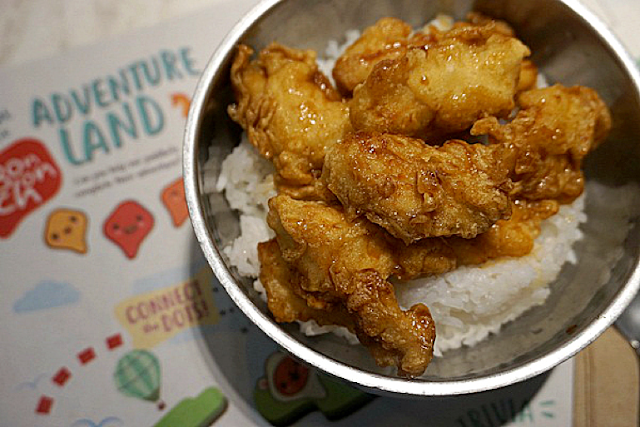 Go drop by your nearest Bonchon Chicken and enjoy a happy manageable mealtime with your kids. To keep you updated of their promos, follow them in their social media accounts.